Our Starco Chemical Division also offers a complete line of non-service food service products. Most Starco Chemical kitchen products are authorized by U.S.D.A. for use in federally inspected meat and poultry plants. In addition to providing a line of green, environmentally safe products, our Starco Chemical branded products comply with HACCP guidelines and bear the symbol of certification. Spectrum Services has been successfully conducting business in the Supermarket/Food Service Industry for over 25 years. 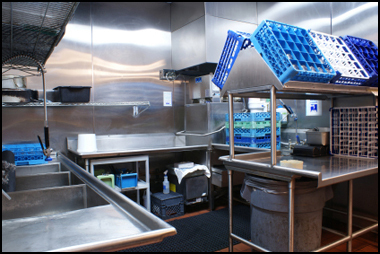 The Full Service Programs we utilize feature detergents, degreasers and sanitizers for 3 Compartment Sinks, Housekeeping, Cleaning In Place (CIP), Commercial Dish and Pan Washers. All Full Service Programs include Dispenser provisions, maintenance and regular Routine Customer account visits. Emergency Services are available. 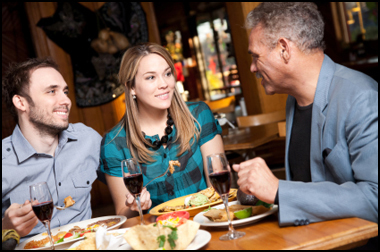 Easily Followed/Managed Food Safety Programs. To find out more about our food service programs, contact us or call 1-800-OK4-SOAP.